Since the founding of hyco Vakuumtechnik 50 years ago, our philosophy has been characterised by environmental protection and environmentally-friendly vacuum technology. 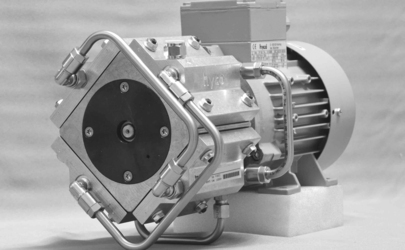 We produced oil-free diaphragm und piston pumps right from the very start. We have been committed to oil-free vacuums and green technology and as the years have passed this has become ever more important in the context of climate protection. Oil-free hyco® diaphragm pumps have replaced the classical water jet pumps in the most varied of applications and industries. Through our continuous work we have contributed to saving operational resources such oil and water and improving the CO2 balance for long-term climate protection. In order to show our environmental awareness, our diaphragm and piston pumps are furnished with the new hyco® GREENtec label. 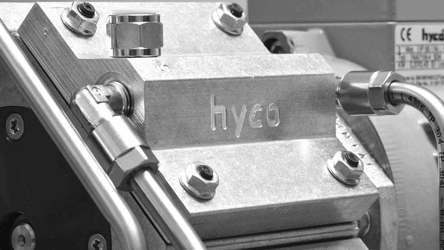 hyco® GREENtec stands for environmentally friendly, oil-free and water-free vacuum technology with long operational service life and long maintenance intervals. 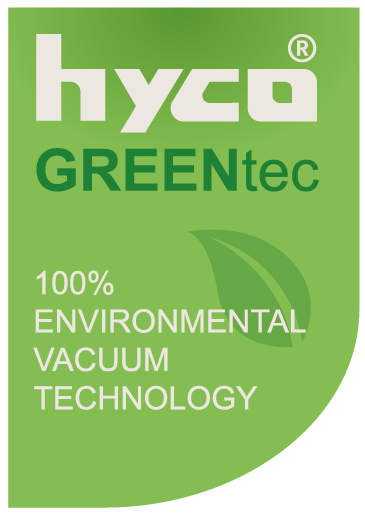 hyco® GREENtec - 100% environmentally friendly vacuum technology since 1968!